Dalat attracts tourists not only by the famous sightseeing places, cafe shops are designed fancy but also attracted by specialties Dalat. 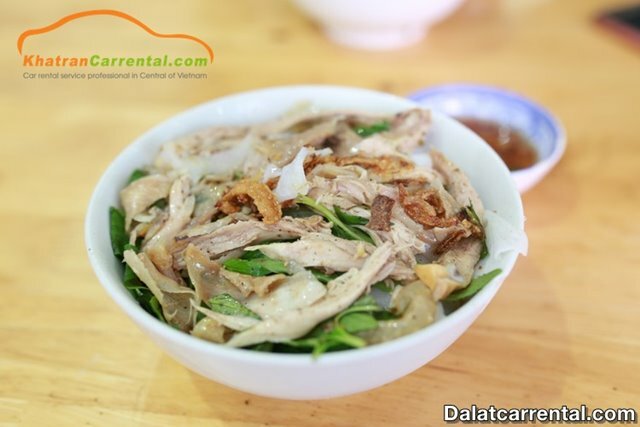 And now, Kha Tran Car rental will general the top 20 delicacies Dalat that you definitely have to try for the trip to Dalat. Hue beef noodle is a dish that you can find in any city, but each city has its own flavor and identity different to adjust to suit the taste of the people there. With Da Lat, the noodles are medium to large, water is bold, according to Dalat taste. 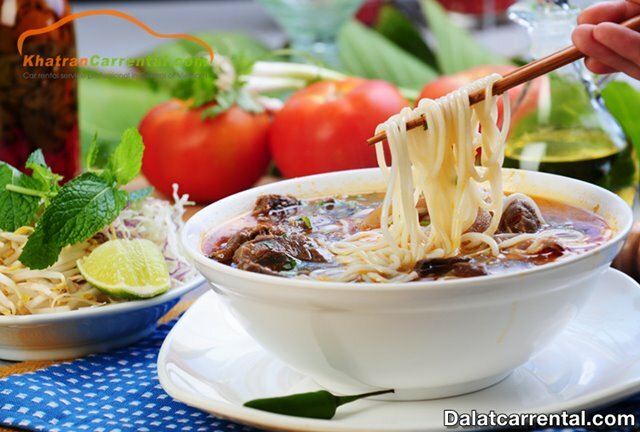 Like Hue beef noodle, paste vermicelli soup is also popular dish in Vietnam. 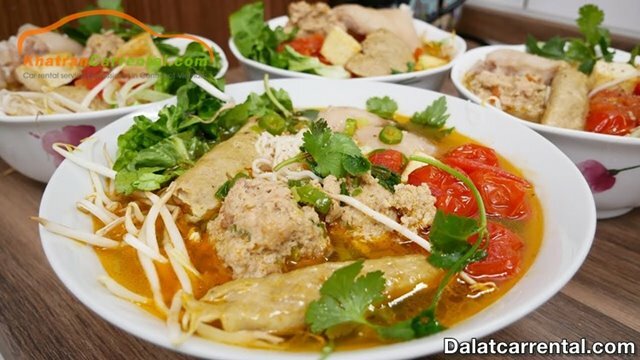 With paste vermicelli soup of Dalat, visitors can feel very own here. With full flavors, a full of bowl that is quite cheap will be a popular breakfast in Dalat. Pho is a very familiar dish to tourists when coming to Vietnam. 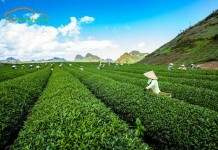 But when you come to Dalat to eat “Pho”, visitors will feel much more fun. Come here with the cool air in the mountain town, enjoy the hot “Pho” in this climate will make customers more warm and comfortable. 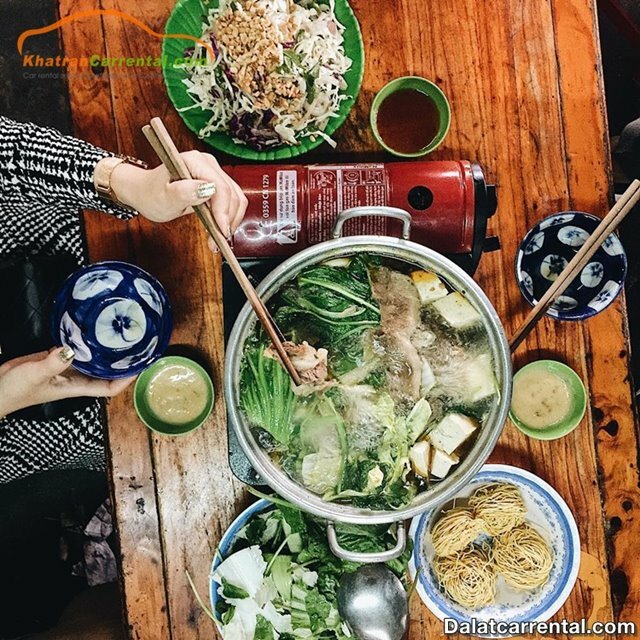 Quang noodles – Anh Sang Hamlet is quite famous for Dalat people, with large noodles, lots of meat, plenty of noodles with sweet water, soft meat served in the cold Da Lat is a great thing. 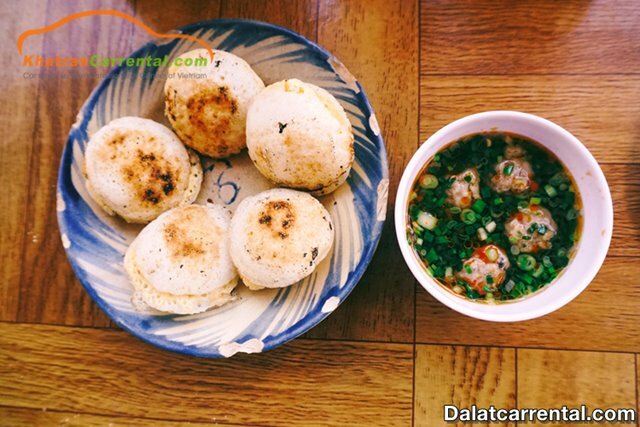 For Dalat people, the bread is one of the special dishes of Dalat in the morning. 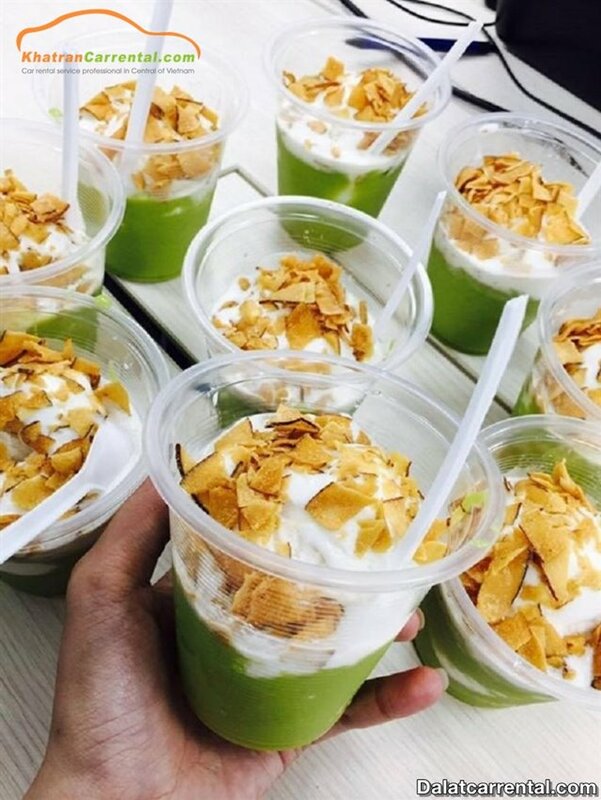 With delicious flavor, fragrant water, just flavor to eat, a large bowl but the price is very cheap, ignoring this dish in the morning it is very unfortunate to you. 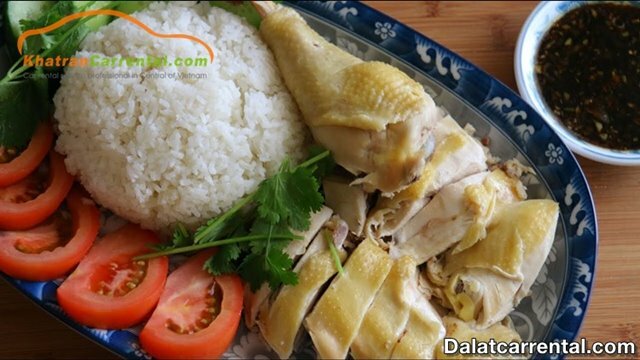 The most famous of all the chicken rice is Hai Phan Rang chicken rice. It is rated delicious here, not bored, soft chicken is not eating chewy. Especially the accompanying dishes like pickles, carrots. The boss and staff are all enthusiastic and friendly creating a sense of closeness to visitors. 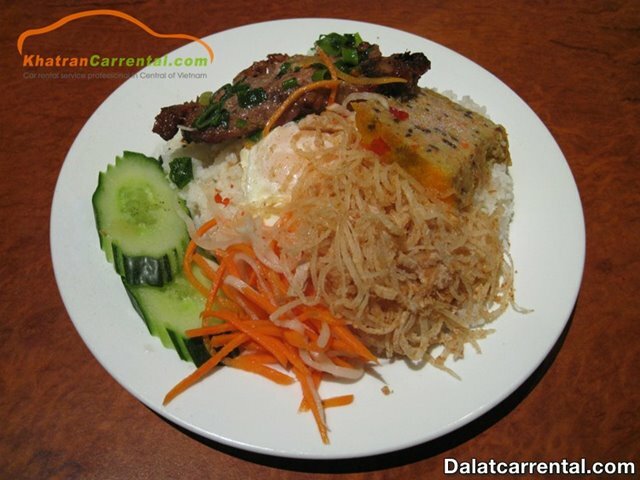 With a plate of hot rice and a piece of grilled ribs to scent attractive aromatic Mei broken rice dishes have been received the supporting of visitors when arriving to Dalat. You will not find a second place in Dalat to get a plate of rice so delicious. The restaurant is simple, space is just enough wide. The plus point here is that the restaurant is always in the state of the table but the staff here very fast, do not let guests wait a long time. “Lau ga La E” is considered one of the best hot pot in Da Lat, although the space is small, normal but quality is excellent. Consumers are very crowded, visitors often have to wait 5-10 minutes. On the contrary, the service is very enthusiastic and thoughtful, more than hot pot with hot water, delicious, a lot of meat, chicken is quite firm, highly rated by customers. Referring to the delicious hot pot in Da Lat can not be missing Ba Toa beef pot. The location is easy to find, located in a small alley full of pubs, space is tight because the restaurant is always crowded but the food is very good. The prices are very cheap but the hot pot is always full, the water of hot-spot is sweet, soft beef. Going to Da Lat to miss this dish will be the most regret when coming here. 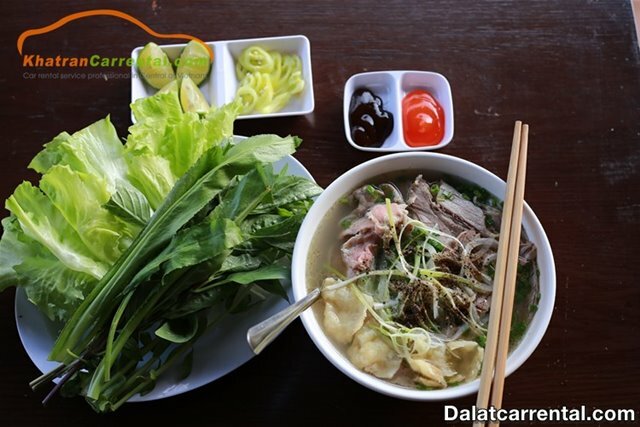 Da Lat is a dish that is included in the top 20 dishes that can not be ignored when traveling to Dalat. With clean space, enthusiastic staffs, rice-pot accompanying dishes such as meat bowls, fried eggs, … will give you a full meal forget about the way back. 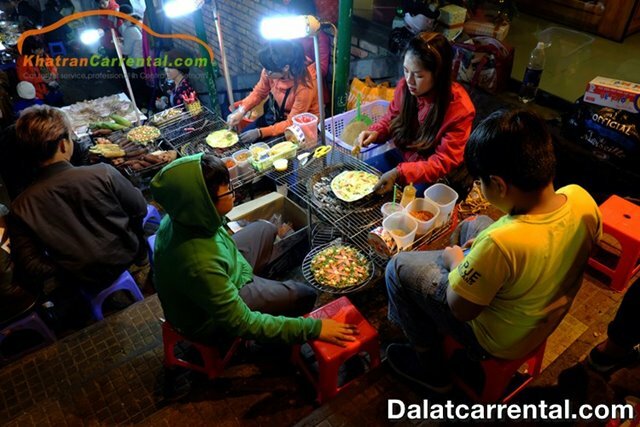 It is one of the most famous street foods in Dalat. Can Cake is extremely popular but attracts a lot of visitors, the main ingredients are rice with eggs or chicken eggs, add fat onions have launched a fat and fragrant dishes onion. After the “Can cake”, Grilled girdle-cake is baked with hot edge is no less. Wandering on the streets of Dalat city there are many pavilions for you to enjoy. The same is baked rolls but Da Lat bring a very different flavor. Grilled girdle-cake is crispy, bring the fatty flavor of the egg. “Banh uot long ga” is considered as a specialty of Da Lat. It is accompanied with the sauce is made according to traditional recipes made this dish more special that nowhere. “Trung long ga” is a strange dish compared to other cities, but when it comes to Da Lat, it is a very common street foods. Eggs are boiled evenly, so it is not too ripe or too ripe, with lemon pepper salt is very delicious. Simple but who tasted this dish will be addicted to it. Processed clean, marinated with baked porridge cooked porridge, “Chao ech Singapore” is a snack that many people know. 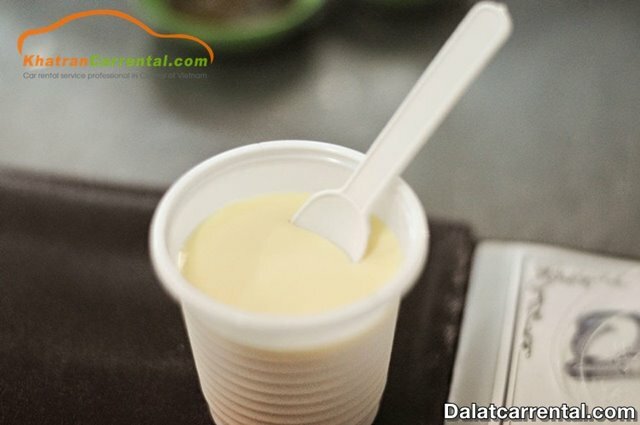 With always cold weather of Da Lat to enjoy hot porridge will be a great thing when coming here. 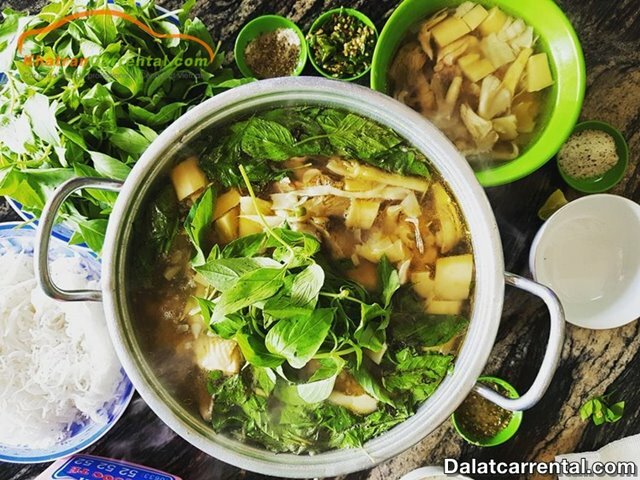 “Oc nhoi thit” is a dish that you definitely have to try when traveling Dalat. 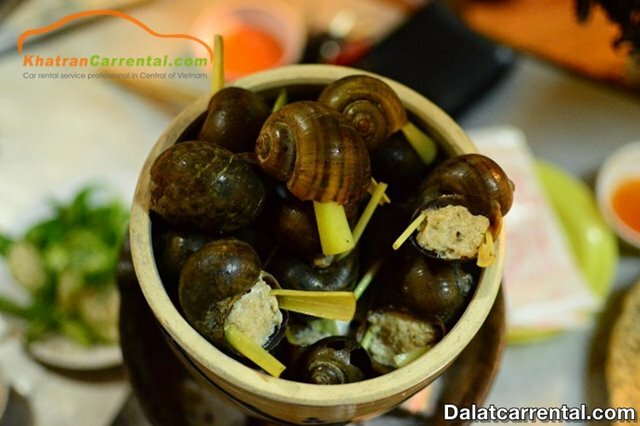 The meat is softly mashed, seasoned and stuffed into a snail together with lemongrass, then steamed on a large bowl to keep heat. it is a dish that does not make people regret. 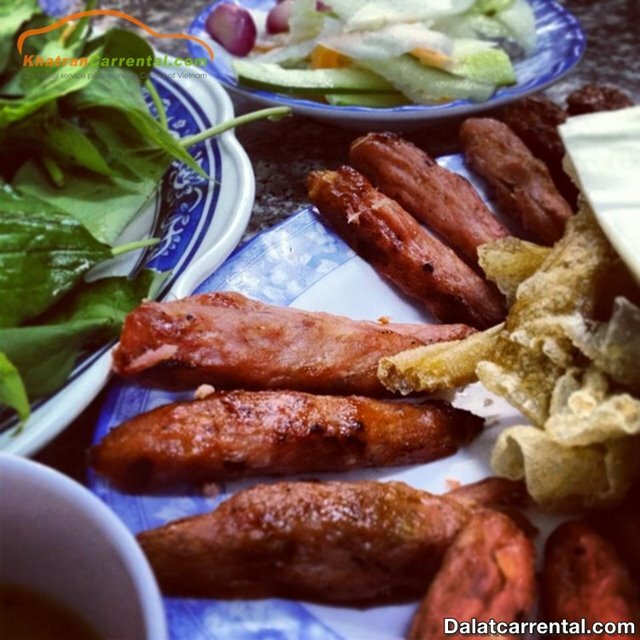 As for the famous desserts in Dalat, you will not be able to overlook ”Ba Hung grilled sausage”- one of the best delicacies to try. The restaurant is located in the heart of the city, quite easy to find. Grilled sausage tastes very different, the sauce is also better than other places and that makes the restaurant unforgettable. “Hé sweet-soup” is one of the famous specialties of Dalat. Those who love to explore the highly rated cuisine for this dish. With the right amount of sugar, not too sweet but still bring fat taste from the beans in the tea. With well-selected avocados, smoothly crispy, deliciously blended with coconut milk, just fragrant, ensuring you will not disappoint. Coming to the “city of thousands of flowers”, visitors not only have the moment to experience the beauty of dreaming here but also enjoy the delicious food, not special place where there are. 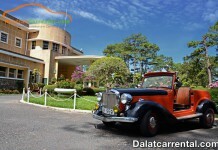 If you need to travel to Da Lat, please contact Dalat Car rental – specializing in providing car rental services in Dalat from 4 to 45 seats with safe driving criteria, friendly drivers help you have trip more comfortable. Or contact (+84) 91 509 02 01 (Mrs Anna) and (+84) 91 651 02 01 (Mrs Katharine) for further advice and support!